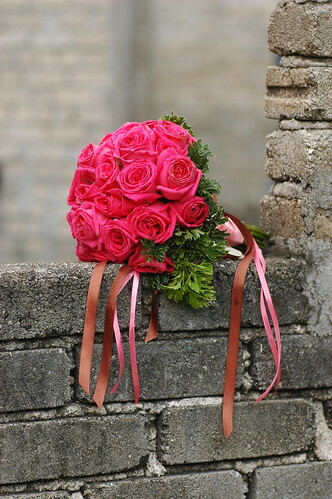 bunga tangan fushia pink done for Adora, from Klang..
kalo korang nk buat hantaran yg selain fresh flower and bunga dip, artificial flower camnih nice jugak. 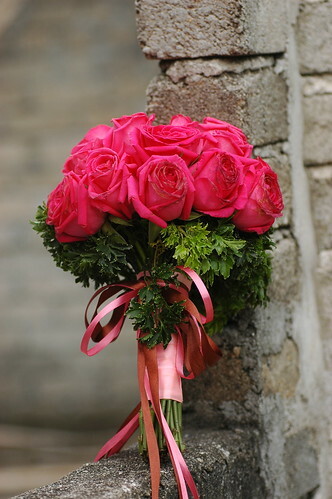 tips dia, pilih flower yg nampak mahal, walaupun sbnrnye tak lah berapa mahal sangat..
bekas mengkuang, boleh dapat banyak kat jln tar.. dekat sebelah SSF ade..
this was for my wedding.. masa tuh tak buat fresh flower sbb takut kelam kabut..
maklumlah semua buat sendiri.. thanks to melor sbb tlg gubah hantaran nih..
fathin stil simpan bekas2 nih in good condition, do let me know kalau interested yer..
nak buat hiasan kat rumah pun sangat cantekk..!! i really love the idea of having a welcome table. they are several ways that u can make ur guest sign and put notes for the pengantin.. actually, signing guest book blum lagi menjadi trend sangat utk malay wedding.. 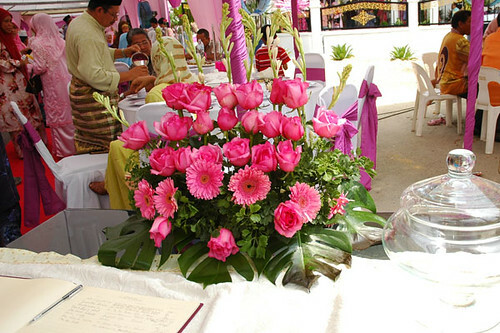 This is the table i set up for khai and azuan’s wedding.. I bot the guest book in Jakarta.. 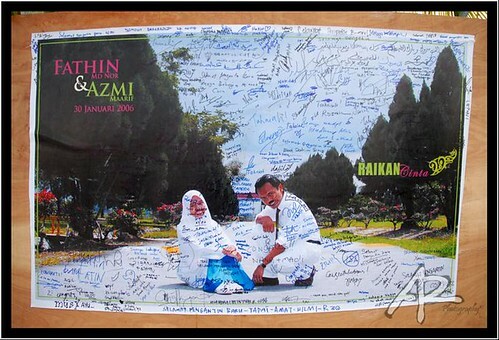 This was for my wedding, 3 years back.. Pics of us, in school, and printed in banner size, paste on a plywood. Owhh this reminds me that i had not frame the banner yet… huhuu..! This is done my good friend, Indah Sutra Balini for her wedding. It is a scrapbook concept with their love stories and pics.. I was her photographer..
To make sure ur guess sign the guest book, u should assign someone to take care of the area.. Explain to the guest where they should write.. Maybe u could put together with area hadiah.. This is not only a great keepsake, it is also the best way to send thank you notes to the guest..